Brikena Isai Tomasi, Of Counsel - Martin|Hild, P.A. 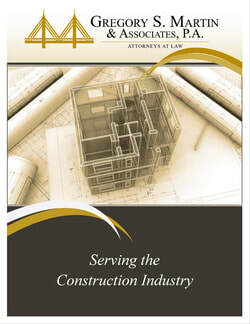 Ms. Tomasic assists clients in matters involving construction law as well as the general business operation of construction companies. She provides advice in a wide variety of matters including legal support in ongoing construction projects, drafting contracts and agreements, advising during negotiations of transactions, and assisting in construction and business disputes. Furthermore, Ms. Tomasic assists clients in administrative matters such as business certifications offered by local and regional agencies, licensing and disciplinary matters regulated by the Florida Department of Business and Professional Regulation and state licensing boards, as well as business certifications administered by federal agencies such as the U.S. Small Business Administration. Spotlight on Judge Thomas W. Turner, March 2012 Central Florida Association for Women Lawyers Newsletter.